Believe it or not, the Marshall design team does not consist solely of metal heads, rockers and blues lovers. With over 150,000 amplifiers sold to date, the critically acclaimed, award winning acoustic AS100D and AS50D combos are two of their most successful and revered products. Suitable for a range of instruments and a multitude of applications, the AS range is genuinely their most flexible ever amplifier. Both 50 watt and 100 watt models include multiple channels (including XLR mic and auxiliary inputs), digital stereo effects (including reverb), anti-feedback controls, stereo D.I. outputs and much more besides. Exclusive Acoustic Expo discount on the AS100D and AS50D! 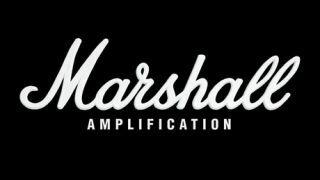 Visit the Marshall shop and quote EXPO10 to take advantage of a generous 10 per cent off the award-winning acoustic AS100D and AS50D. Some of the biggest names in music rely on the AS100D and AS50D, yet their affordability makes them suitable for all. Whether you're a solo vocalist with a backing track or a guitar and ukulele duo playing small clubs or large venues, the AS range gives you the confidence to succeed whatever the situation. Artists performing with the AS range include Gordon Giltrap, Biffy Clyro, Jamie N Commons and Benjamin Francis Leftwich. The AS100D has been created for use with a variety of instruments. Between its four channels this combo has the flexibility to handle instruments with piezo transducers or magnetic pickups, plus microphones for vocal and instrument reproduction. Click here to learn more about the Marshall AS100D. Marshall is proud to present the AS50D. This superb amplifier features a tweeter, phantom power microphone channel, digital chorus and reverb. Click here to learn more about the Marshall AS50D. During this solo performance, English acoustic guitarist and composer Gordon Giltrap showcases the high quality sound from this critically acclaimed amplifier. For more information visit the Marshall website, or connect with them via Facebook, Twitter and YouTube.